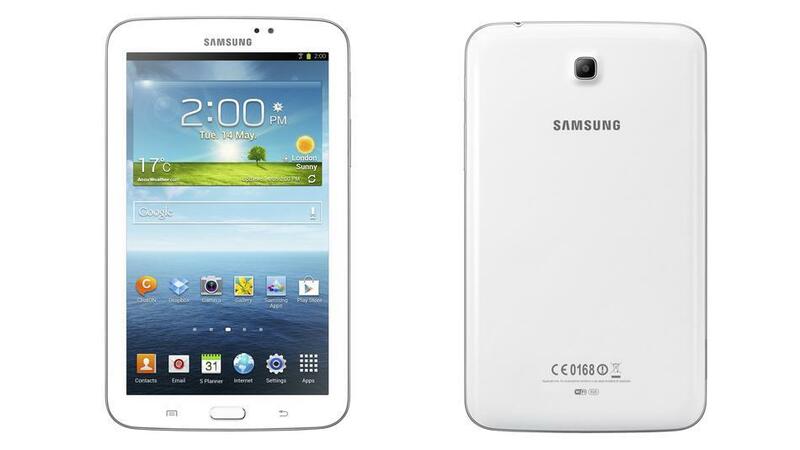 Samsung unveiled Galaxy Tab3 in the series of Galaxy Tab Android tablets. This 7-inch galaxy tablet is powered by 1.2Ghz Processor and runs on the Android 4.1 Jellybean operating system. Galaxy Tab 3 will feature 7-inchWSVGA (1,024 x 600) TFT display is not up to the current standard. However, tab3 is capable of Full HD video playback. Galaxy tab 3 will be available with 8GB or 16GB of storage and Of course, you upgrade this memory capacity to 64 GB with external SD memory card. Tab 3 sports a 3 mega pixel rear camera, 1.3 Mega pixel camera for the front side. This tablet is powered by the solid 4,000mAh battery. Samsung also announced that Tab 3 WiFi version will be launched “globally” in May. The 3G version of this tablet will be available on June. The tablet weighs 302g if you choose the Wi-Fi version, or 306g for the 3G variant.